Learn to communicate in a language beyond words! Watch the video trailer for The Charisma Code here. THE ERA OF GLOBAL CITIZENSHIP IS HERE. The Charisma Code is a hand- book for living and communicating in this new world. While we know the next big innovations will spring from global culture, it’s not always clear how to join this planet-without-borders conversation. 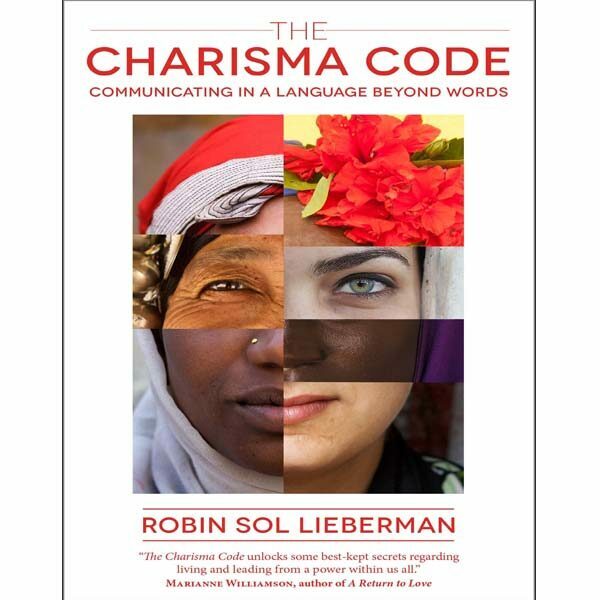 Robin Sol Lieberman’s 3-step process—laid out in The Charisma Code— teaches you how to connect and collaborate with anyone, anywhere by speaking charisma’s language beyond words. Whether you’re an emerging global leader, a volunteer for human rights, or simply a world traveller who doesn’t understand the native tongue, these steps are designed to immediately connect you to others while lighting souls and ideas on fire! The Charisma Code inspires readers to choose courage over comfort, compassion over ignorance, and freedom over fear. Charisma helps com- municate who you are—the most engaging tool you can use when inviting others on your ride! D. Evolutionary Biologist, author of BioInspired, Inc.